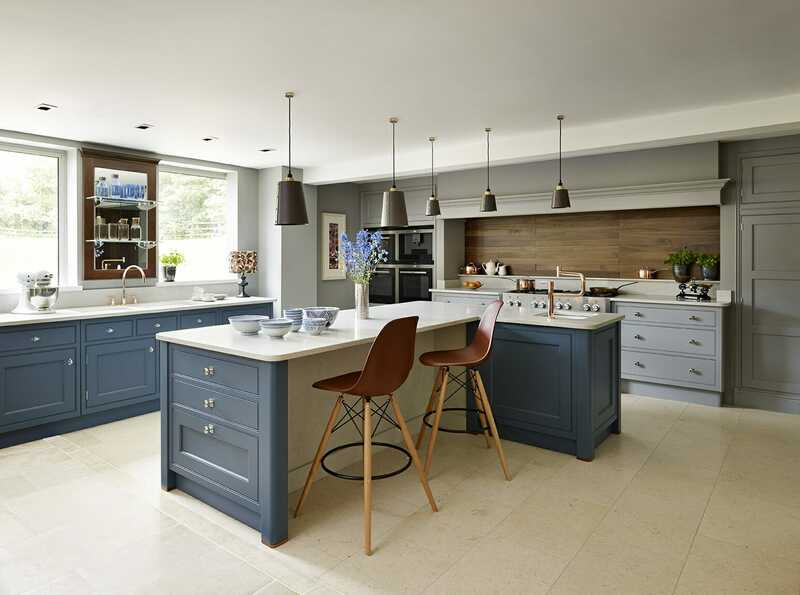 The farmhouse trend has been around in the interior design industry for quite some time. We can’t help but swoon over the most recent twist on this classic trend, modern farmhouse design. While classic farmhouse interiors may be too traditional for some of us, this modern take on the trend is so incredibly versatile and gorgeous! No one does this better than the master, Joanna Gains. Follow these top 7 essentials for incorporating modern farmhouse design in your own home! Modern farmhouse interior design by Decorilla online interior designer, Lane B. The majority of modern farmhouse interiors have a great sense of hygge. The feel cozy and welcoming from the moment you step into the room. This is because of the layering of textures. Using fur and leather throw pillows to contrast against the hard wood and stone finishes and as a result you’ll have an inviting and interesting space. 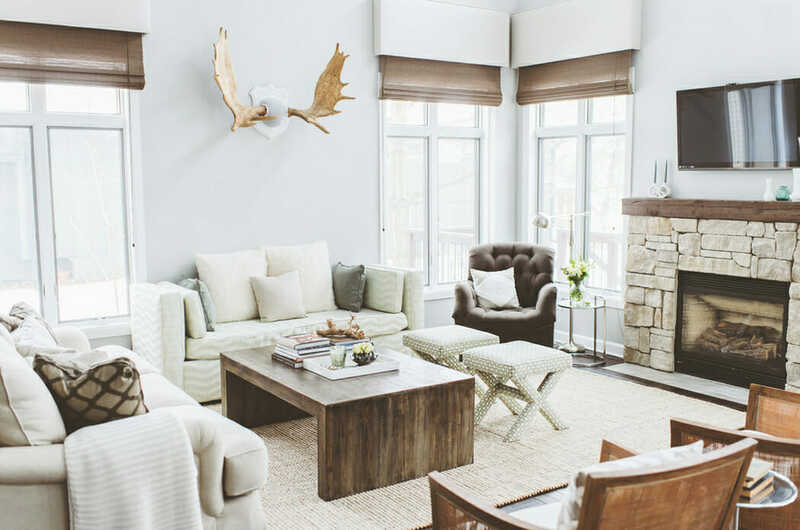 Modern farmhouse interior design by Decorilla online interior designer, Kimber P.
Another way to bring in additional texture is to incorporate items from nature. We love seeing pops of greenery (that works in ANY space!). Area rugs are also an essential texture need! Modern farmhouse interior design isn’t the only design style that loves to mix metals. This growing trend is here to stay. Contrast is your friend! We love how gold hardware pop’s against black cabinets. 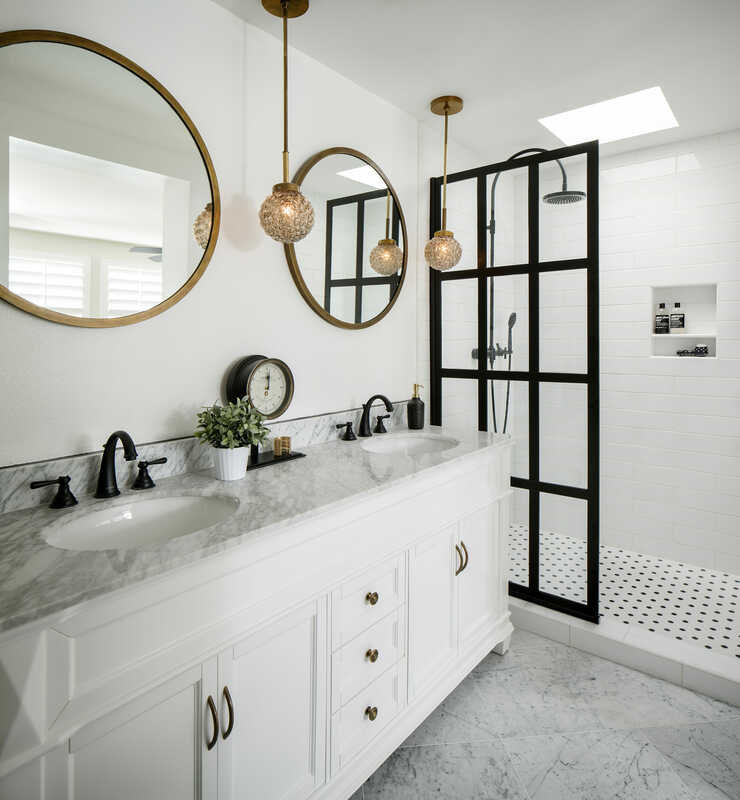 Modern farmhouse bathroom interior design by Decorilla online interior designer, Corine M.
Black, gold, silver, oh my! They all work together so beautifully when you pay attention to detail. Decorilla designer, Corine M pulled off mixing metals in this bathroom design seamlessly! 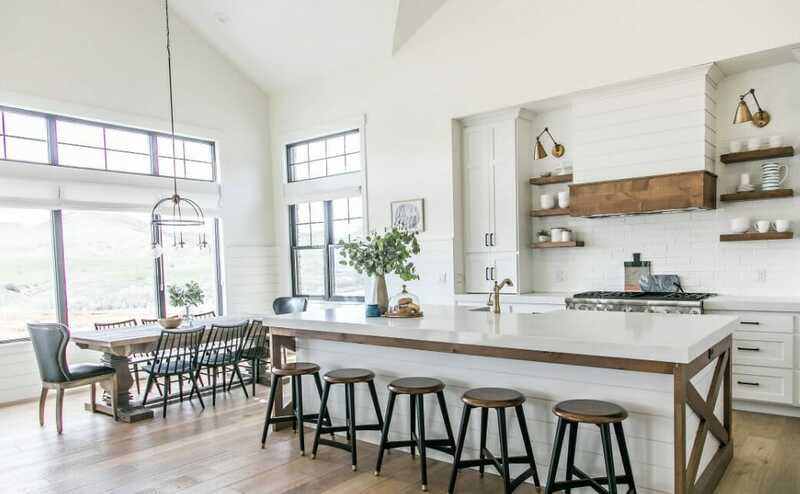 Modern farmhouse interior design by Decorilla online interior designer, Margaryta S.
Kitchens no longer blend into the background. We love that modern farmhouse design isn’t afraid to make a bold statement with the heart of the home. 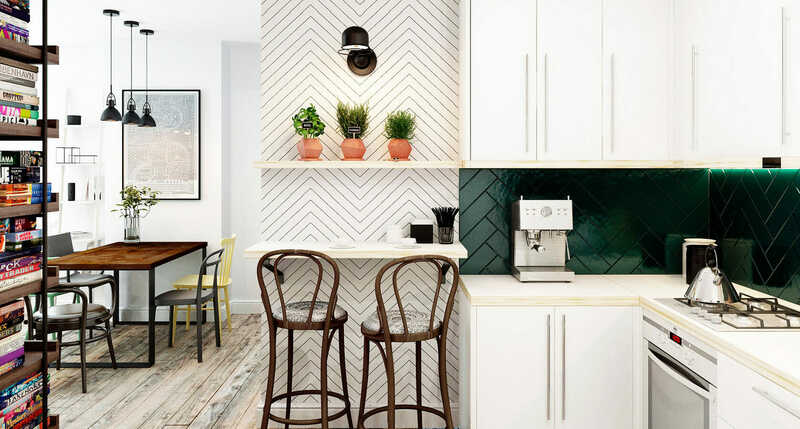 Bold trends like herringbone backsplash tiles, colored, cabinets, and bold fixtures are common features seen throughout this fixer upper paradise. Modern farmhouse kitchen interior design by Decorilla online interior designer, Mary L.
Don’t forget to look up! 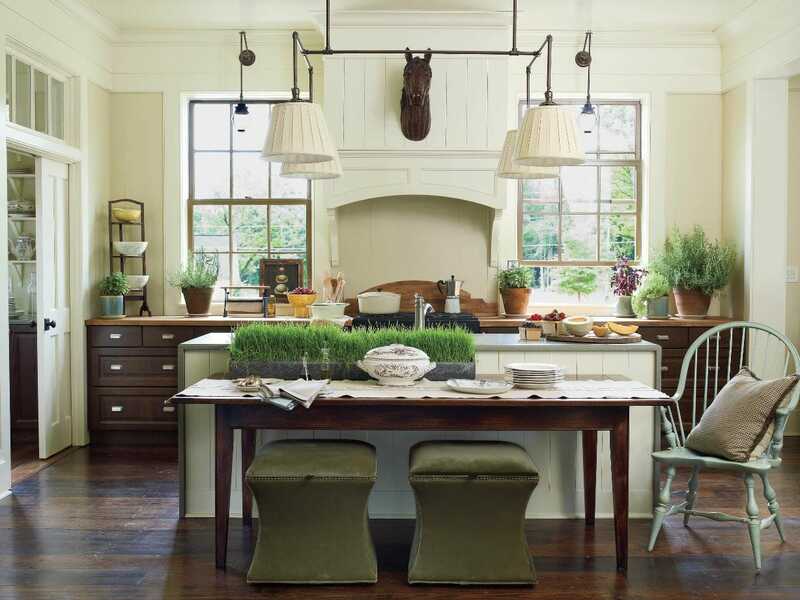 Bold pendant lights over the kitchen island are another great way to incorporate the modern farmhouse design into your own home. 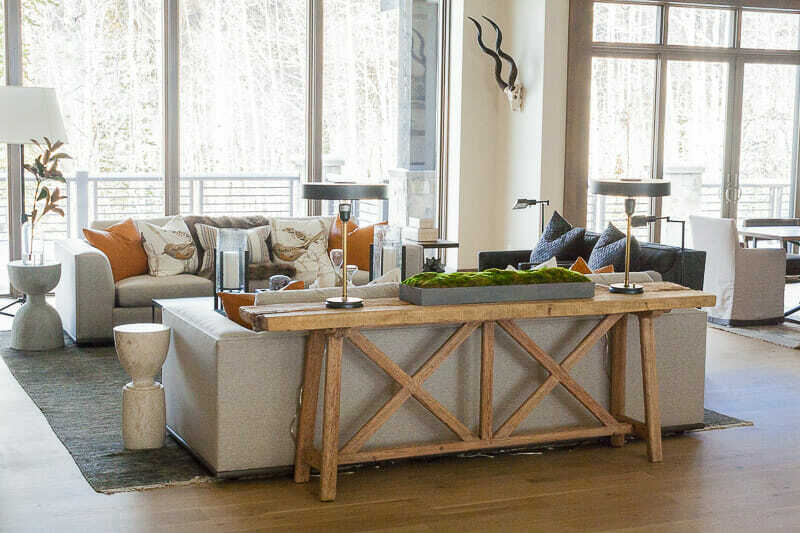 Modern farmhouse interior design by Decorilla online interior designer, Corine M.
When thinking of farmhouse design it’s easy to think of large family gatherings around the table. Number four on our essential modern farmhouse finds is dining table large enough to fit a group! It’s so important to gather around the table and have conversations with the ones you love. What better place to do it than a beautifully designed dining room. Don’t have the space inside? 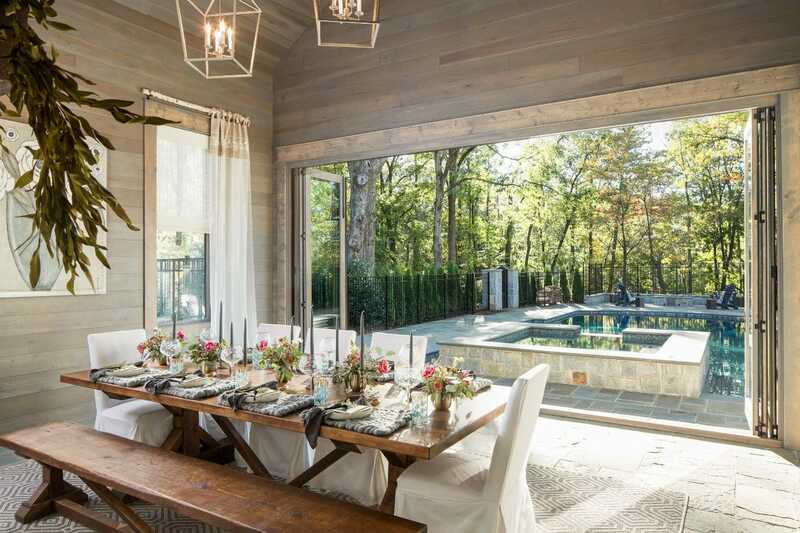 Think about setting up an al fresco dining area in your backyard. Café lights finish off the space with the perfect ambiance. Perhaps one of the most consistent features we see is a neutral color palette. 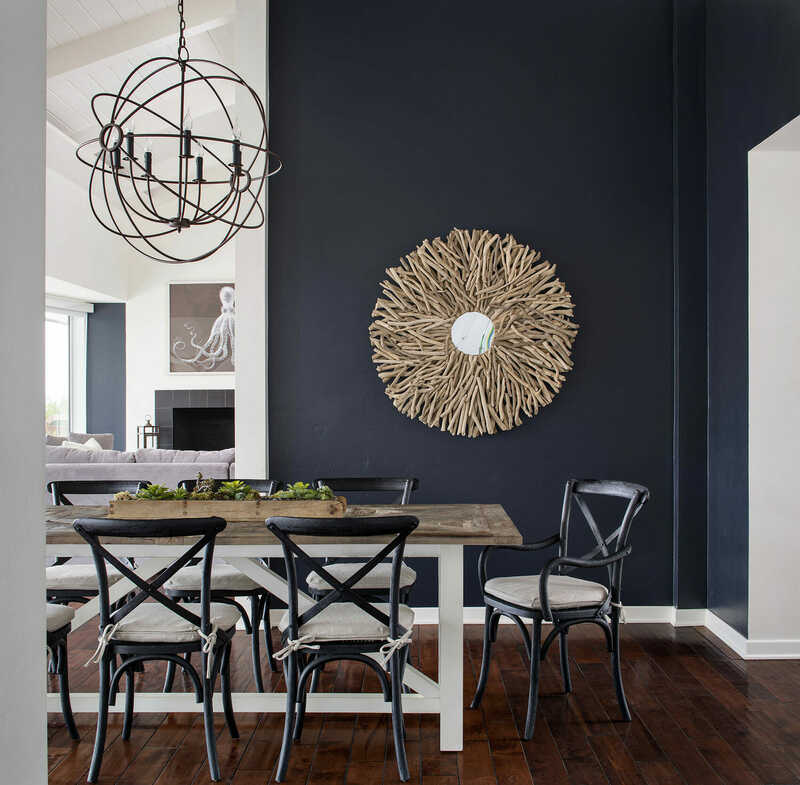 There are often contrasting colors used to create interest in the room. When you do see pops of color typically we see more subtle colors that can be found in nature. Deep navy blues, sage greens, burnt orange, are a few of our favorites. Interior design by Decorilla online interior designer, Luca C.
Keeping the walls a white or off white color gives the perfect blank slate to let the texture of the furniture and accessories do the talking. If you have large windows in the room keeping the color palette neutral also allows for the view to do the talking. We love a good view! 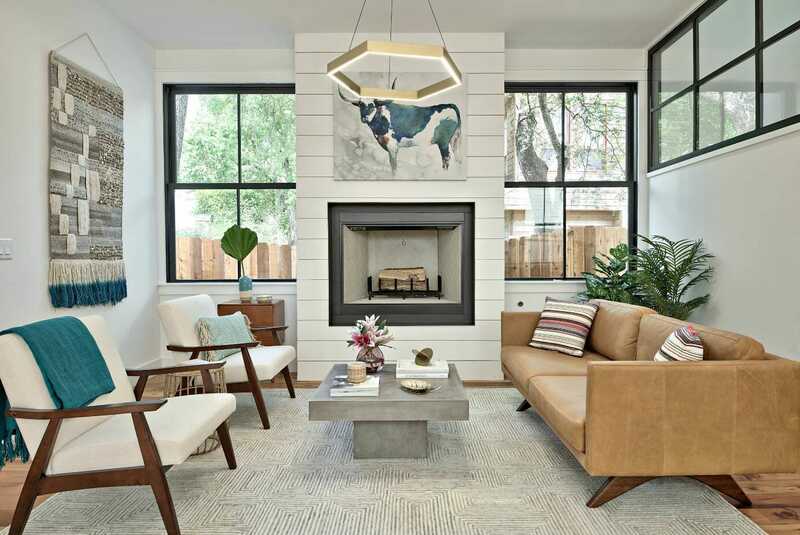 Modern farmhouse interior design by Decorilla online interior designer, Ibrahim H.
While we haven’t been seeing as much industrial design prominent in the design field in recent years, that doesn’t mean it’s not making its way into other trends just like this one. 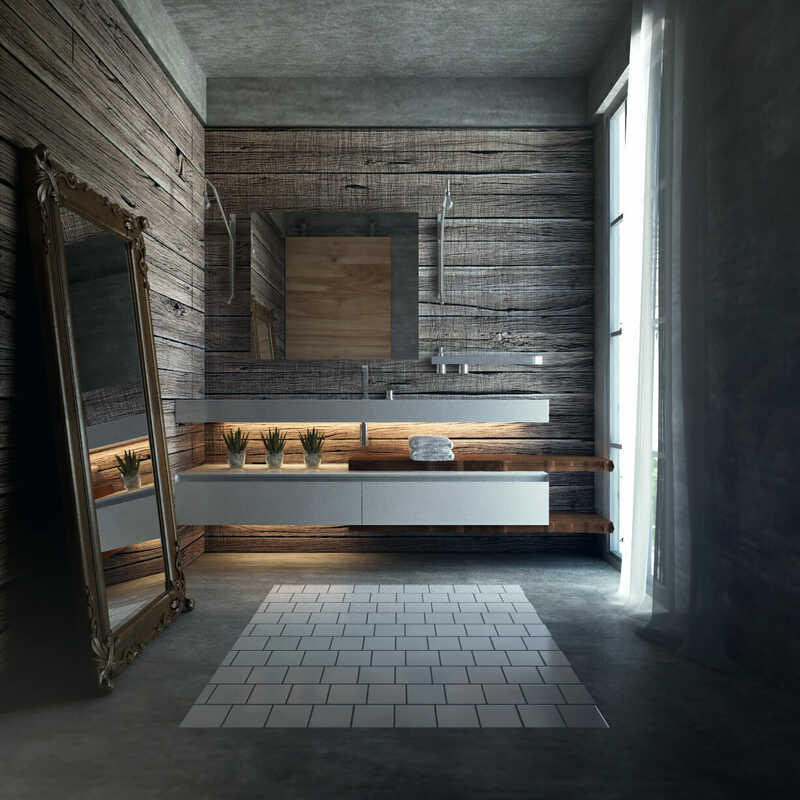 Subtle industrial touches such as concrete accents are a great way to bring in a raw and natural feel into the room. 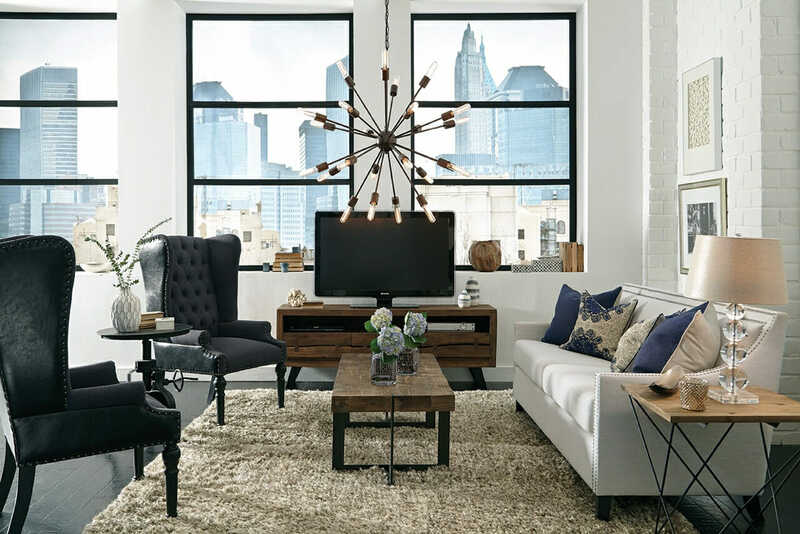 Metal accents in furniture and lighting are a great way to incorporate industrial touches into your modern farmhouse home. We love the mixture of wood and metal! It gives off such a raw yet sophisticated vibe that we can’t seem to get enough of! 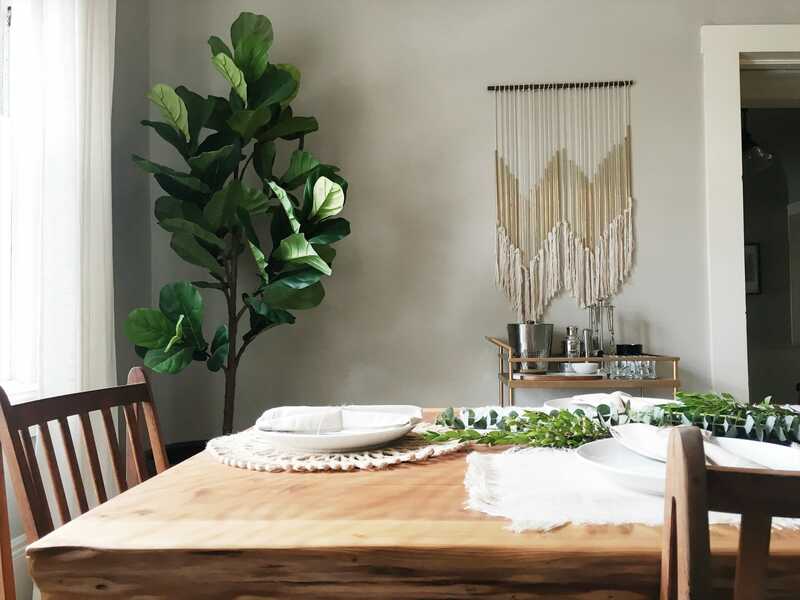 Modern farmhouse interior design by Decorilla online interior designer, Angela S.
Arguably a tip that should be in most interior design trends is adding greenery. Bringing the outdoors in is good for the mind, body, and spirit. Not only does it purify the air, you can use this tip in a practical sense by planting an herb garden in your kitchen. Avoid “dead corners” by adding a floor plant to fill the vertical space and soften the overall feel of the room. The designers have spoken and it’s safe to say this modern farmhouse trend is not going anywhere anytime soon! And we couldn’t be happier. 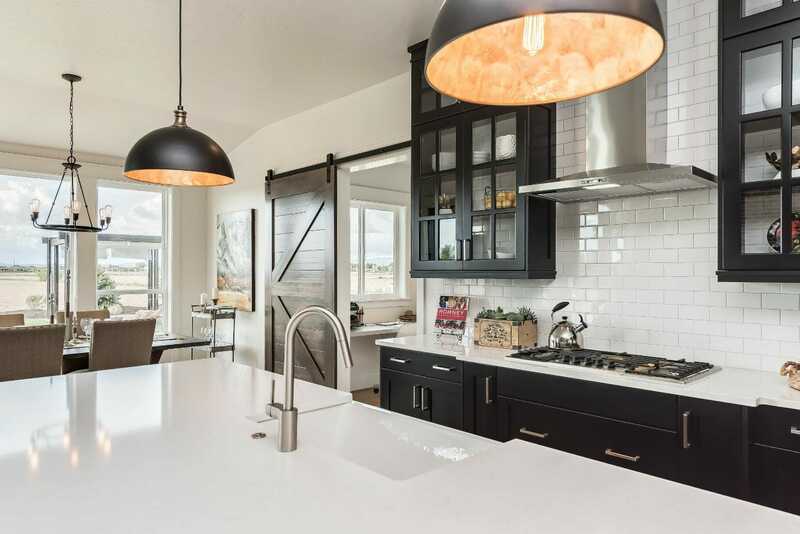 The modern farmhouse is one of the most popular design styles we keep seeing again and again. The contrast between the texture of farmhouse and the clean lines of modern make for the ideal combination. Schedule a free consultation with an online interior designer today and start the process to the modern farmhouse of your dreams! 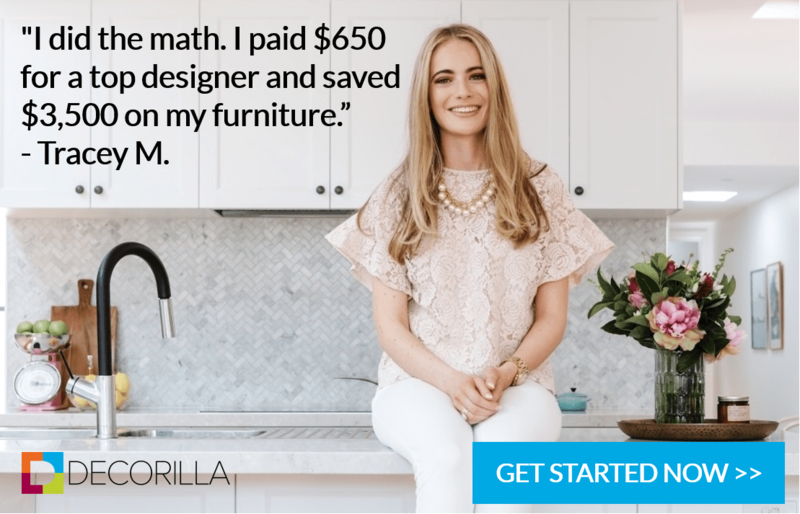 Written by Decorilla designer, Brittany J.